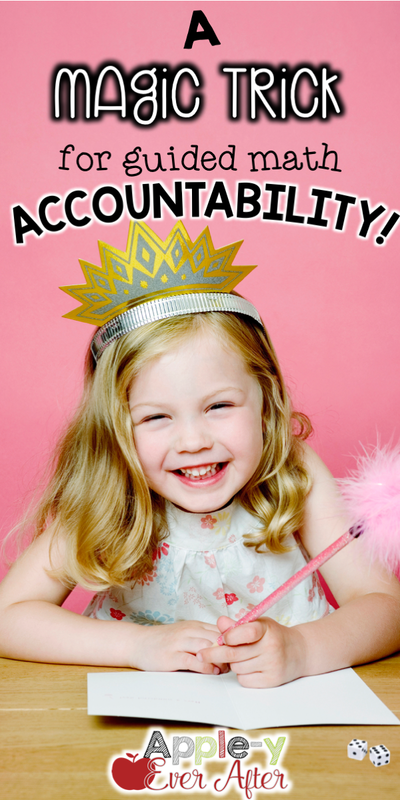 Guided Math - Increase Student Accountability - Apple-y Ever After! Guided math is one of my favourite times of the day. It gives me the opportunity to work with my students in a small group setting and allows the other students to build their independent work skills, work with friends and sharpen their math skills through technology. In Guided Math, my students are grouped by their achievement level so I can teach more specifically to each student's level of needs. A math journal with work designed to meet student needs. These are based on conferences at the 'Math with my Teacher' station. The biggest problem that I was having, was keeping my students accountable for the work that they should have been doing when they were working on 'math by myself.' I could tell them "make sure you are working hard" or "keep going," until I was blue in the face, but frankly, it was wasting my time when I should have been focusing on the group that I was working with. 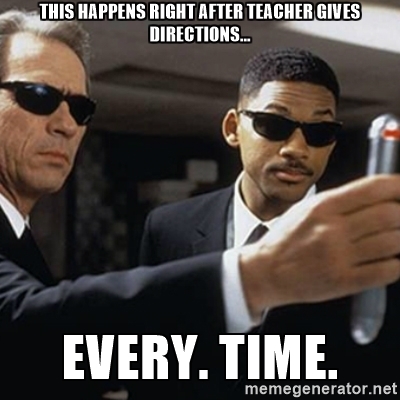 I was also getting tired of repeating myself, so I can only imagine how annoying I would sound to the students that were actually getting their work done. Maybe this happens every day. There is no way to be sure about it. But aside from the Men in Black coming into my classroom and erasing our minds with the flasher, we should be able to get things done in a timely manner. One of the most exciting things about Guided Math is that it is very hands on based and game oriented in my classroom. I love adding games and manipulatives into lessons, basically tricking my students into thinking that they are just having fun, when actually they are exploring and demonstrating the skills that we just covered, but in a more hands on and tangible way. My daily math block is 60 minutes long which allows me to get a lot of math practice in every day. I told my students that I would love to have 'Math Game Friday' every week for 30 minutes of our math period where students would be able to play math games (that work on essential skills that we are trying to master - but I won't mention that part). Everyone loves math game time, so I told them that in order for us to be able to have Math Game Friday, we would have to all reach a checkpoint in our math journals. "What is a checkpoint in a math journal," you ask? Well, it's really quite simple. I put a sticker on the page that we need to reach in our journal. That's it. No fancy, big, crazy ideas to track or to add extra work onto our never ending list of 'things to do'. It's a sticker which acts as a goal for students to reach. I guess it is sort of fancy because I call it a CHECK POINT and my students eat that right up! When I looked in my student's journal and when I work with them at my table, I take notes on expectations that I should set for them. Some students are naturally good at completing table work, while others struggle a bit more. A checkpoint might be different for the students that require more time. I'm not here to discourage students or to make them feel like they will never finish the task. I simply want for my students to have a goal in mind when they sit down to do their work. I am so pleased with this simple classroom hack! My students work hard toward their goals because they know that they can earn some much deserved free time if they work hard. 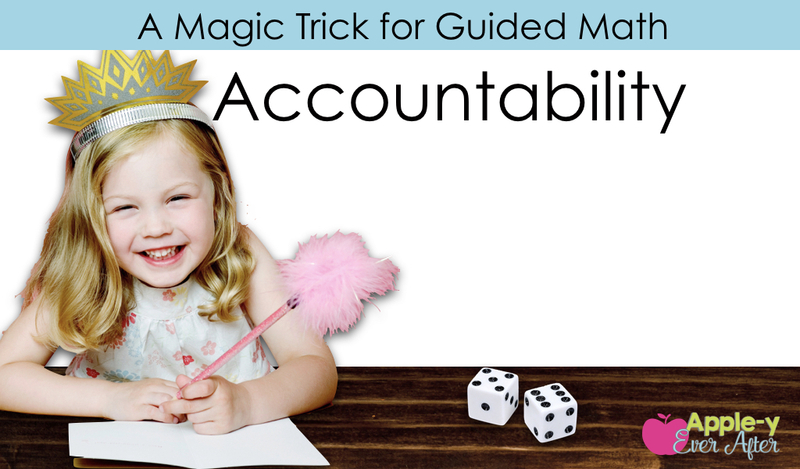 Do you have a trick that has kept your students on track? I would love to hear about it! Leave a note in the comments section. 5 Ways to Choose a GoNoodle Champ!